We (my boyfriend, his mom, and me) spent 4 days of our trip at the Topas Ecolodge, 18km outside the town of Sapa, among hillside rice fields and local minority tribes in north Vietnam. After a 45-minute “adventurous bus ride” from Sapa town, complete with bumpy terrain, friendly locals, and buffalo, we were greeted by at least 20 women and young children of the Red Dao minority. 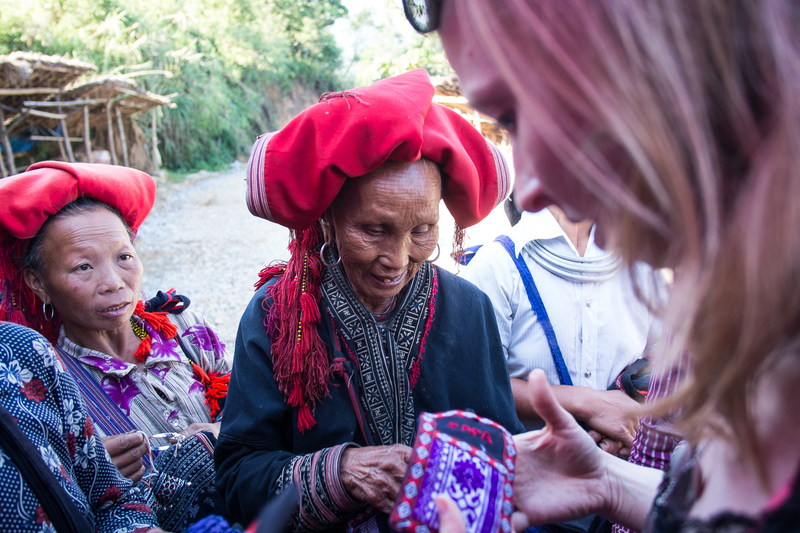 The women were all smiles, talkative — though their English was limited — and each woman was eager to show us their handmade embroidery work. 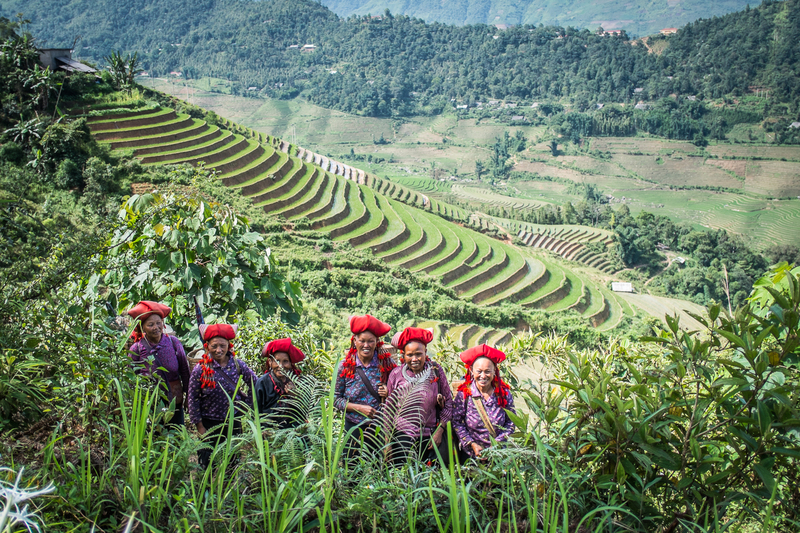 A long blouse, trousers, colorfully-embroidered designs, and a red triangular turban characterize the Red Dao women’s daily attire. Most women keep their hair long on top while shaving the back and sides, and some decorate their turban with beaded red tassels and silver coins. 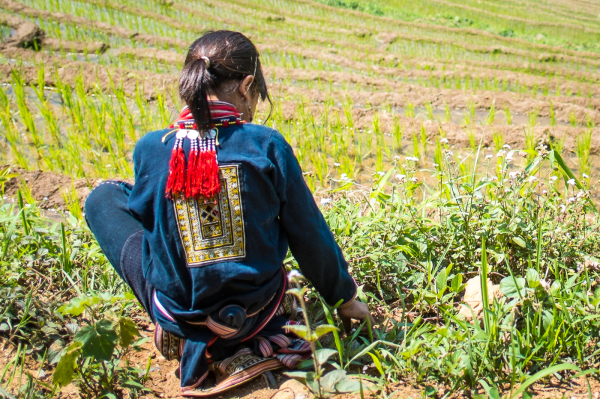 Floral-printed blouses were popular among many Red Dao women we interacted with, but the traditional embroidered blouse was still worn by some. 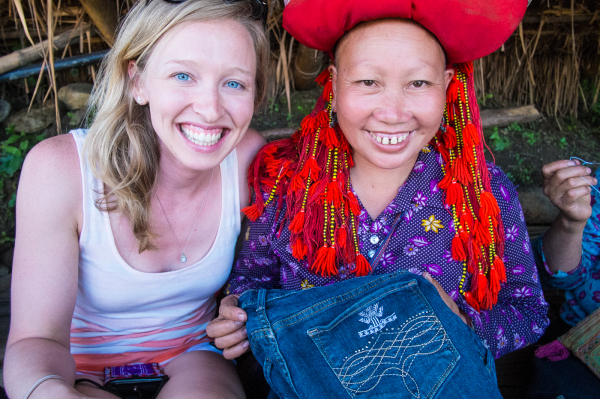 They all wore the traditional embroidered calf-length pants, and some even worked to add embroidered patterns to the pants they were wearing as we sat and talked with them. Embroidery is one of the special trades of the Red Dao. They acquire thread and fabric from other local tribes and use these materials to make their traditional embroidered clothing. In this way the local minorities rely on one another. 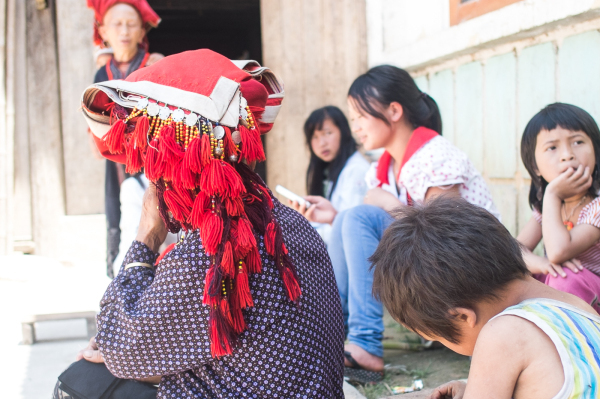 The Red Dao, like other minorities in the area, also make items to sell to tourists. Embroidered bags, purses and hats, in addition to traditional Red Dao clothing, are the most common items the women were making to sell during our visit. The embroidery is completed in lines, using the full length of the needle, and it is quite unique in that a design appears on both sides of the fabric. This makes for an impressively quick process — much faster than western hand embroidery. Girls begin learning embroidery at a young age, and by the time they are 7 or 8 years old, they can make their own decorative clothing. 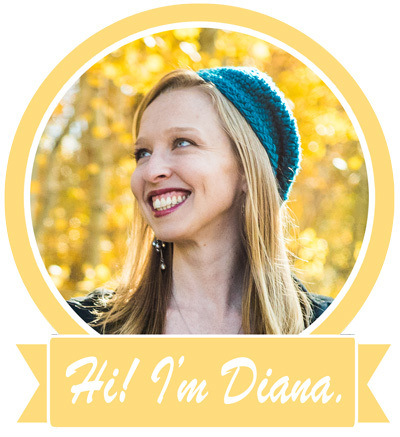 With so many women making similar items, competition for a sale is high. It can be a bit overwhelming if you’re not expecting it. The women may pop up at any time they find you out on the grounds near the road, and they’ll take full advantage of having you alone to show you what they’re selling and offer you a bargain. But all eyes are usually on you, and you’ll quickly attract the attention of other women with items of their own to sell. Sometimes, to avoid frustration and competition, the women will agree to share the profits so multiple families can benefit from a transaction. To keep up with perceived demand, the Red Dao women will sometimes trade their handmade items with other local tribes or purchase items at the town market to make more options available to tourists visiting the Ecolodge. The women are also eager to show you around the area and teach you about how they live, in hopes that this may encourage you to buy something from them at a later time. 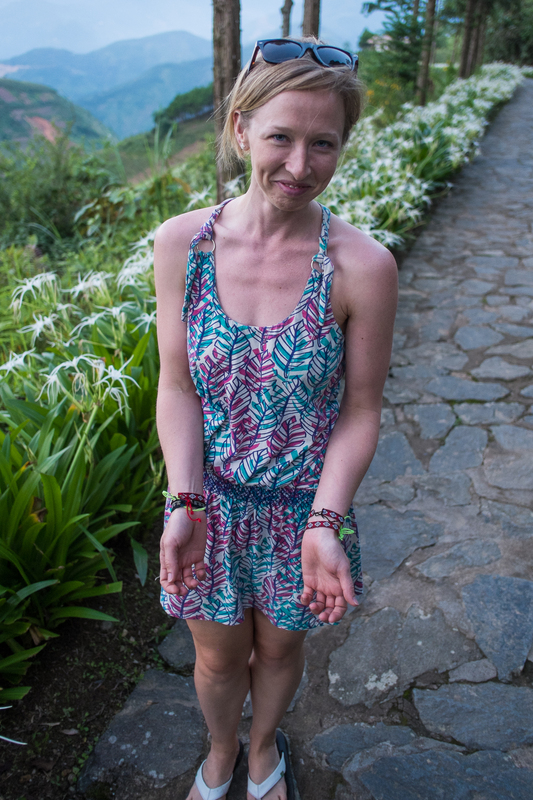 Morgan, one of the first women we met, took us for a walk along Buffalo Way, a walking path around the Topas Ecolodge that runs through their hillside rice fields and takes you closer to nature. She told us about her life, pointed out poisonous plants, and showed us photos of other tourists that had come to visit her for homestay in the past. It was a truly interesting little adventure, and we made sure to buy more from her before we departed. Their English understanding is limited, but you’ll find ways to communicate. Be sure you understand each other so you’re not agreeing to something you’re not aware of. If you tell them you don’t want to buy anything, they will listen. But you have to be clear about it. Don’t say something is nice or pretty without planning on buying it. If there is a group of women, offer to look at all of their items individually first, one at a time. Do not comment or agree to buy anything until you have looked at what each woman is offering. This will keep the whole process organized. If you tell them you like something, this tells them you are likely to buy it or a similar item, so it will encourage them to keep pushing a sale. If you tell them you’ll shop later, they will try to get you to agree to buy from them later. 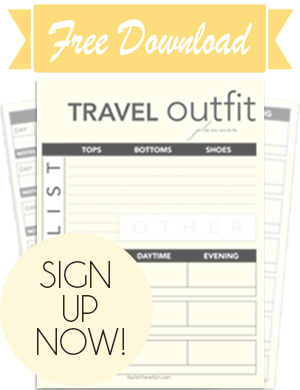 They may offer you a free item (bracelet, etc.) with the understanding that you’ll purchase something from them later. If you take the bracelet, you agree to this, so plan on keeping your word. They will hold you to it! 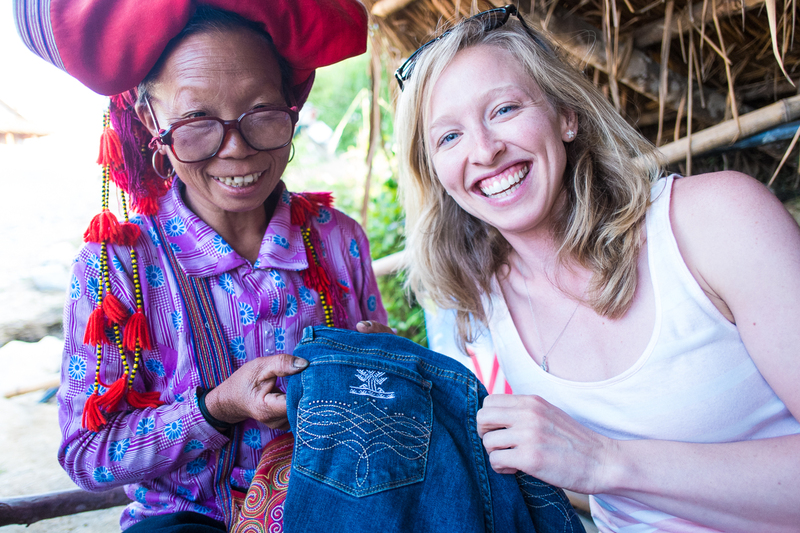 Without a lot of extra room in our suitcases to take home souvenirs, we asked the Red Dao women to embroider what we already had. We had a fun day sitting and chatting with the women and coming up with ways to make our clothing and travel gear more unique. 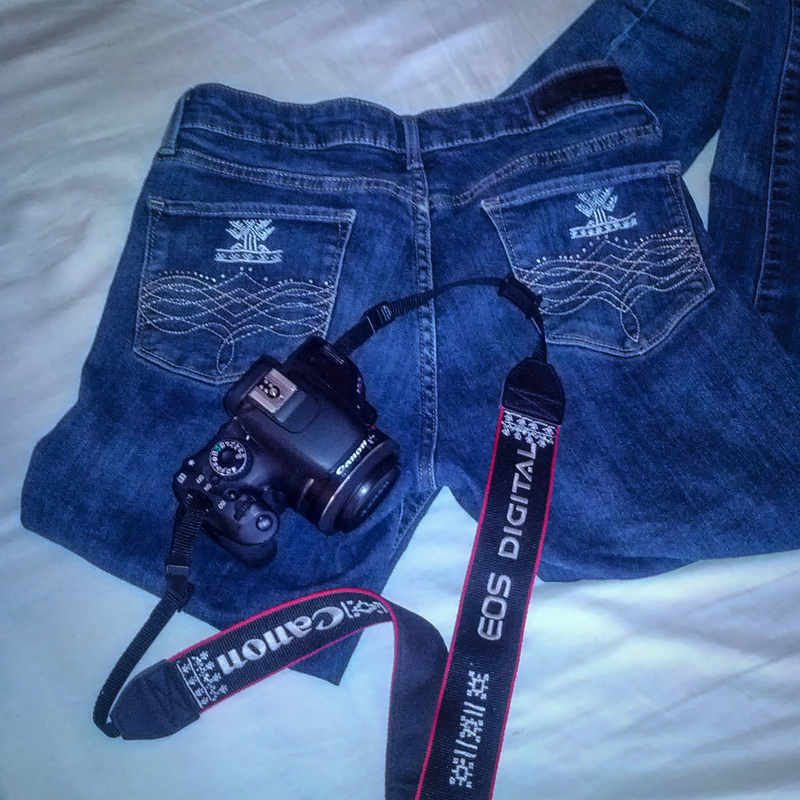 I had my jeans and camera strap embroidered by four different women. We agreed on a price of 5 USD for each embroidered design. The experience and my unique souvenirs made the price more than worth it! 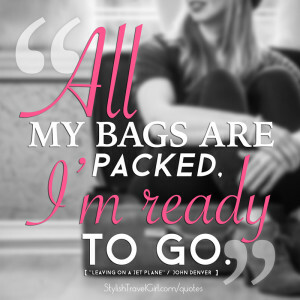 I returned home to the busy-ness of summer season at my job after 9 work-free days and was so quickly overwhelmed by my American working life that I didn’t even post photos of our trip on Facebook until… hold on… that can’t be right. I NEVER actually posted any? Well anyway, I sure am glad I put an end to that situation and that my traveling life is now allowing me to share my travel experiences with you. 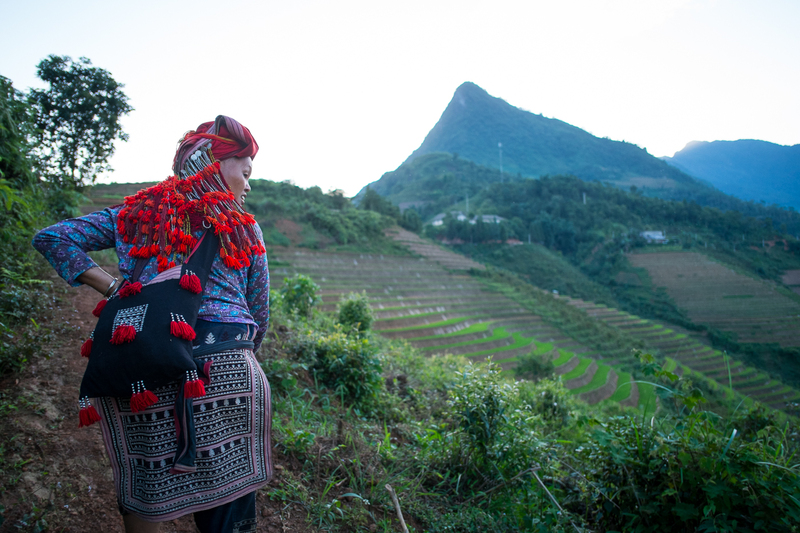 If you never make it to the hills outside Sapa, Vietnam, I hope I painted an interesting picture for you with this peek into the lives and handmade fashion of the Red Dao women who live there. 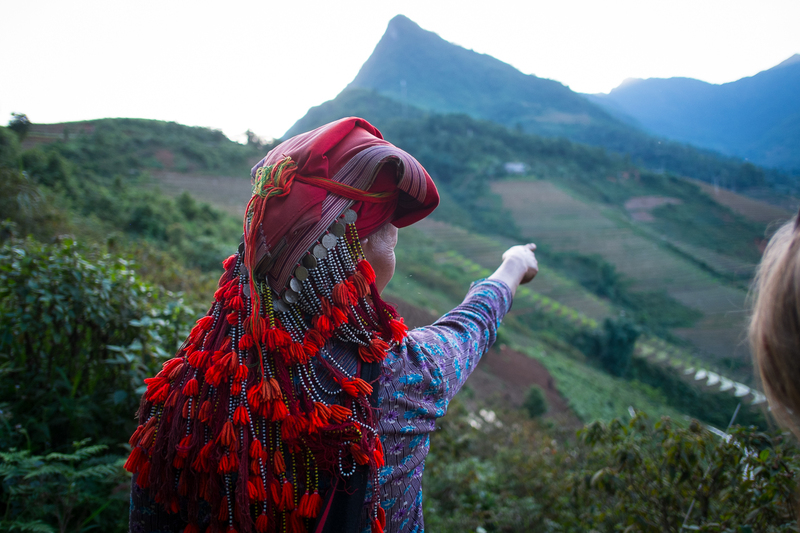 I would recommend getting in touch with the Topas Eco Lodge, neighbors to the Red Dao. They sell their handmade products in their gift shop and might be able to help you out.